The Louis Vuitton store at Ala Moana Center will be holding a product personalization event during mall hours tomorrow through Sunday. 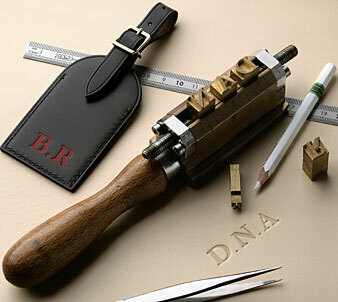 Bring your small leather Vuitton goods and bags to be personalized with your initials. This complimentary service, usually only possible on small leather goods, will be extended to bags during the event period only. Customers will also be treated to same-day service; the process normally involves a three-day waiting period. Certain restrictions apply, so it's recommended that customers bring their existing Louis Vuitton bags for a consultation with a sales associate. Nomadic knotwork jewelry by Isja, from Bali, will be among the handmade pieces available at Sedona this weekend. 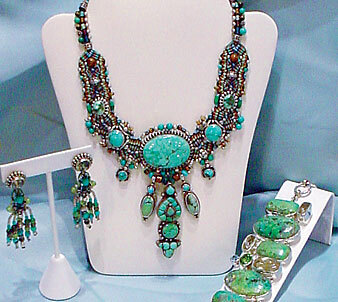 Sedona will host its Gem and Jewelry Inventory Clearance Trunk Show from 10 a.m. to 9 p.m. Saturday and 10 a.m. to 5 p.m. Sunday at its Ward Centre location next to Paul Brown Salon, ground level. The store will be welcoming Deidre Berg, a Washington stone dealer, who will be offering many gemstone and jewelry items priced below dealer cost. A large variety of stone specimens for collectors and handmade jewelry with semiprecious gemstones will be available for two days only. The handmade jewelry includes nomadic knot-work jewelry by Isha from Bali, platinum over sterling silver gemstone jewelry by Daisy Ho from Hong Kong, 14K gold and sterling silver power-stone jewelry by Go Jolly from Oregon, semiprecious stone and silver necklaces by Carina Rossner from San Francisco, and sterling silver gemstone jewelry by Starborn Creations on Maui. For more information, call Malia Johnson at 591-8010. Origins has a new address at Ala Moana Center, having moved from the fourth level to the new expansion area, mall level, across from Lululemon Athletica. To celebrate, the store is accepting entries for its drawing to win a $200 Origins shopping spree at the center. The deadline to enter is July 10. Shoppers browsing Origins' shelves, filled with skin care and bath-and-body products, can test the company's new USDA-certified organic line, while enjoying complimentary hand and arm massages using the products, along with color and skin-care consultations any time. The store will also host a grand-opening event from 5 to 8 p.m. July 11. Call 947-2414 to RSVP.